Shetland has over 1000 miles of coastline with scenery that is on par with some of the most beautiful areas in the world. The Shetland Islands Council maintains a network of accessible pathways to help you enjoy it. Check out Walk Shetland for suggested routes. The Geopark Shetland app for iPhone and Android introduces users to Geopark Shetland through Google maps populated with information about geological sites of interest. GPS triggering alerts users to key locations – a useful aid for people who want to explore Shetland’s fascinating geology for themselves and discover how it underpins the unique natural and cultural heritage of the islands. Sites can be searched by geological theme and the app also includes three walking trails. Available on iTunes and Google Play. Each of the 10 geosites offer visitors the ability to hike, whether on a self guided marked trail at the Irving Nature Park or on a guided interpretive hike at Fundy Trail Parkway. If you enjoy hiking then Stonehammer Geopark is your destination. We have a variety of options for you to explore. There are many hiking routes in the Katla Geopark – Katla Geopark hiking maps will be found in the local information centres (from September 2013). With many small roads with little traffic, there are many fine cycling opportunities in the Magma Geopark. Magma Geopark has disclosed a geobike tour, which is a bike trip, but with a geological twist. Along the bike route there are several stops where you can get information about the geological formations if you bring with you the Geobike brochure. Shetland has over a thousand miles of smooth roads, with endlessly varied scenery and astounding views just waiting to be explored by the cyclist. Head winds can be a problem but traffic is light, making cycling a pleasure, particularly in those long 19 hours of midsummer daylight. Tracks and off-road terrain offer challenging mountain biking alternatives. Find out more at Cycle Shetland. Two of Stonehammer Geopark’s geosites offer bike rentals and guided tours. If you want to bring your own bike there are many options available for you including some of the best Mountain Bike groomed trails in Canada in Rockwood Park. Magma Geopark is working in developing 5 riding routes crossing the area,in cooperation with the Friluftsråd organisations and local people. Located on the coast and on the Bay of Fundy, travelling Stonehammer Geopark on your motorcycle will provide you amazing vistas and opportunities for stopping and exploring within the 2500 sq km’s. Several climbing routes are available in Magma Geopark. 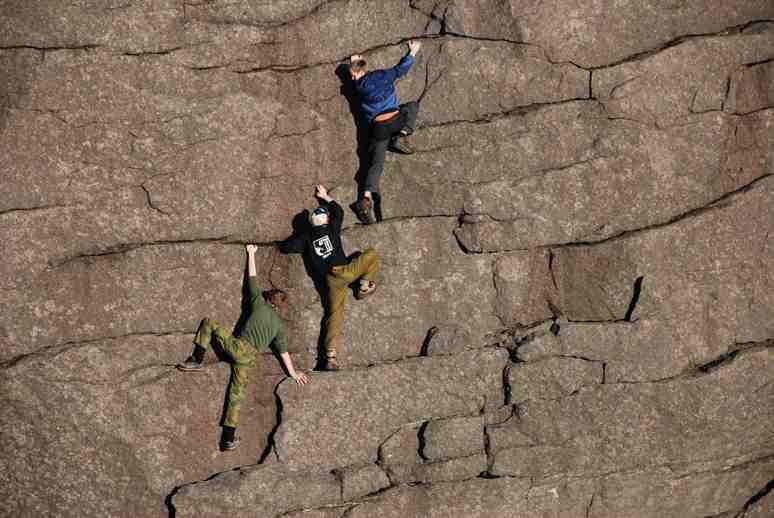 The most popular is the climbing route in Jøssingfjord! Climb Shetland is Shetland’s rock climbing club. It has been around since 2004 developing the awesome sea cliff climbing potential around the islands. The club has about 30 members and new folk are always welcome! To find out what’s happening check out the Climb Shetland website forum. Have you ever climbed on 540 million year old lava rock? You can at Rockwood Park, one of the ten geosites in Stonehammer Geopark. Throughout the geopark there are areas for climbers to test their skills and be rewarded with amazing views. Tourist can go mountain climbing and iceclimbing with local guides. In Magma Geopark find several lakes and rivers that can provide you with good paddling opportunities. You can choose between short day trip or longer trip lasting several days. Stonehammer Geopark’s position on the Bay of Fundy, two river systems, and multiple lakes provides a visitor with many different opportunities for kayaking. You can paddle an ice age river, inside a sea cave and near amazing waterfalls. If you are daring, you can even paddle with whales. The word kayak originate from the Greenlandic word qajaq, and the kayak is a Greenlandic invention. So if you are a paddler, the true place to go kayaking is definitely Greenland. Kayaking in South Greenland is an experience beyond the usual. In fair weather, you silently float between icebergs with fantastic shapes and colors. Wherever you are, you find intense contrasts and beauty. Bright green meadows are rolling into the deep blue fjords. With the kayak packed, you obtain the absolute feeling of freedom, being able to go wherever you want to, and put up your tent for the night. Notice however, that kayaking in Greenland is also quite challenging. Weather change occurs suddenly, and the sea temperature does not rise over 3 to 4 Celsius during the summer. Therefore, kayaking is only for experienced paddlers. The only place in Magma Geopark with escalators is in Bjerkreim. In Stavtjørn it is also nice trails for cross-country skiing, both for those who like sports and for those who like a quieter family time. During the winter months in Rockwood Park you can cross country ski or snowshoe on groomed trails with a guide or on your own. The Moon Light trek is a favourite amongst locals. Sea angling and trout fishing are both popular in Shetland. The new Trout Fishing Brochure from Promote Shetland gives maps and details of more than 70 of the best angling locations in the islands, as well as information on boats, fish species and access. Many of the best fishing rivers in Iceland are located in Katla Geopark both where it is possible to get a lisensce for salmon and trout angling. In South Greenland, you find excellent arctic char and trout fishing. The numerous rivers around Eric’s Fjord are a paradise for anglers. Some of the rivers are clear and perfect for fly-fishing. Others are coming directly from the glaciers and therefore cloudier. Here it is better to use spinner, but in both cases, there is an abundance of fish! In June, the trout lives in the fjord. It swims close to the coastline, and can be caught from points and piers. However, from the middle of July to the end of September they enter the rivers. This is the high season for fishing in South Greenland. Discover the unique landscape and geology in Magma Geopark through organised Educational Tour for groups and students. You will learn about billions of years of geology and how it has created the nature around and the interaction between people that survive in this landscape since the last Ice Age. Nature and cultural heritage will surprise you with amazing panorama and special flora and fauna, like sea eagles. Explore the spectacular wildlife and desert sandstones of Bressay and Noss with Seabirds-and-Seals. Today sheep farmers are working on exact the same land as the Viking Eric the Red chose for his settlement more than 1000 years ago. Get the feeling of how beautifully old history and modern living are linked together on one of the trips to the historical sites.